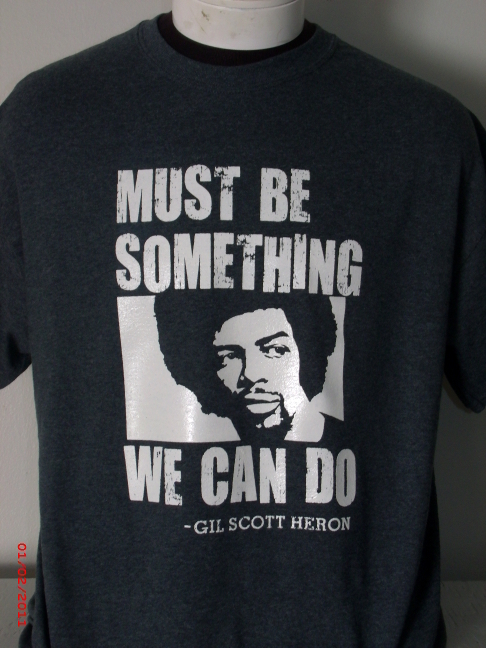 Gil Scott Heron Tee - 100% heavy duty cotton Gildan brand with silkscreen design. A real collectible that demonstrates a key figure in both American music and the civil rights movement. Gil Scott Heron tee.